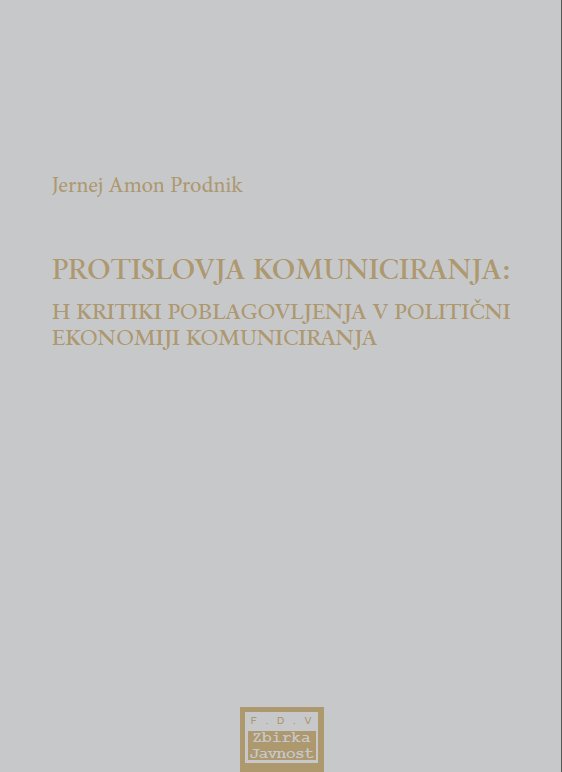 Jernej Amon Prodnik (member of PolCoRe) has published a book „Contradictions of Communication: Towards a Critique of Commodification in Political Economy of Communication“ which is available in Slovene from Faculty of Social Sciences Ljubljana Press (link). The book emphasizes that in the current historical epoch contradictions that are a constitutive part of capitalist societes broaden and expand into communication. Author points out that social changes and communication technologies need to be analysed in a historical manner, in the context of the existing asymmetries of power. 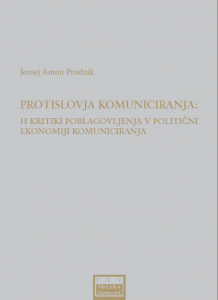 The starting point of the monograph is in the political economy of communication, that offers a way of holistically analysing structural, historical changes and the most fundamental social relations, with special focus on communication, media, and information. Analyses in the book move between fundamental theoretical insights that build on critical approaches to social sciences, and currently topical issues.